Successfully Added Gaming MP4 Player (2GB) + Hamburger Mini Speaker Pack to your Shopping Cart. If you're looking for hours of endless entertainment then boy do we have the perfect solution for you! ...In style! To make a great product even greater we bundled The Gaming MP4 Player (2GB) with our really popular Hamburger Mini Speaker for delicious fun that is guaranteed to rock your world! The Hamburger Mini Speaker sounds as great as it looks with surprisingly powerful and stunningly clear sound output, capable of handling deep bass and sharp pitches like a pro for a brilliant audio performance of the highest highs and the lowest lows everytime! Hear it for yourself and you'll agree that this baby sounds better than speakers double or triple its size and price. So what are you waiting for? Click add to cart right away and in a few days your life could be so much more...entertaining. From the China wholesale dropship leaders - Chinavasion. BONUS Hamburger Mini Speaker for top notch gaming and movie audio everytime! Hi, I live in South Africa. Are game ROM's legal to download here? In regards to the question of Nintendo ROM files, the laws governing its ownership and transmission vary from country to country. In general, much like how it is with audio files, you are allowed to make a copy for personal use only if you have bought and own the original source. In the case of ROM files, you are required to be in actual possession of the game cartridge pc board (PCB) in order to legally retain a copy of the ROM. Check with your local authorities before downloading Nintendo ROMs off the Internet. 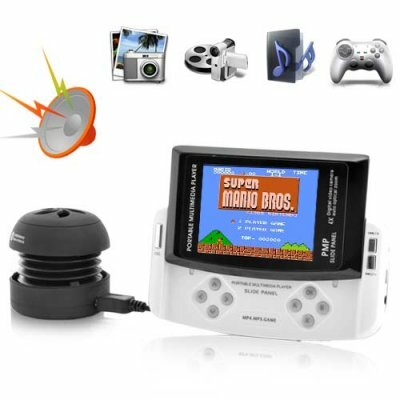 Though the CVS-C206 comes with open source emulation software (MyNES) which allows you to play Nintendo ROMs, Chinavasion cannot be held legally responsible for the subsequent actions of product users in downloading ROMs or similar files from the Internet for use with the phone. How do I load the NES games into my phone? Transfer them into the device's internal memory or throw your downloaded NES ROM files on an SD card. Then browse the game files when you click on the GAME icon. Without writing a novel about it, think of ROM as game file. This is special software that plays NES ROM's. From which sites can I download NES Rom's?